Every once in a while we come across a matching game that does things a bit differently. 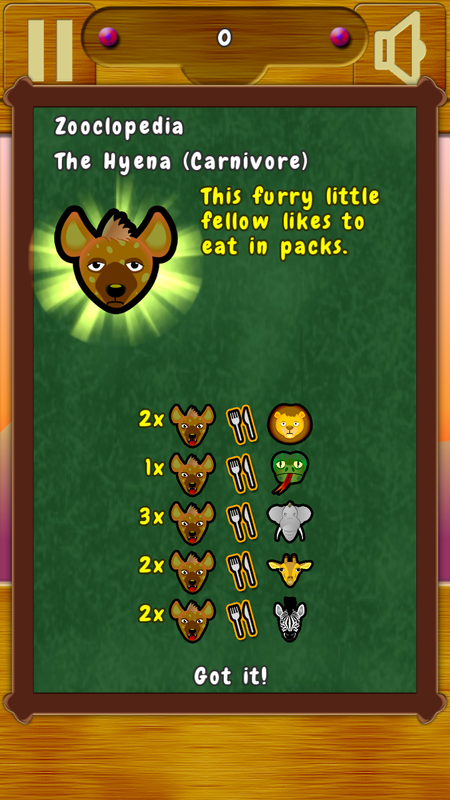 Zoolicious puts an animal themed spin on things as you match animals to food and try to work your way up the food chain. 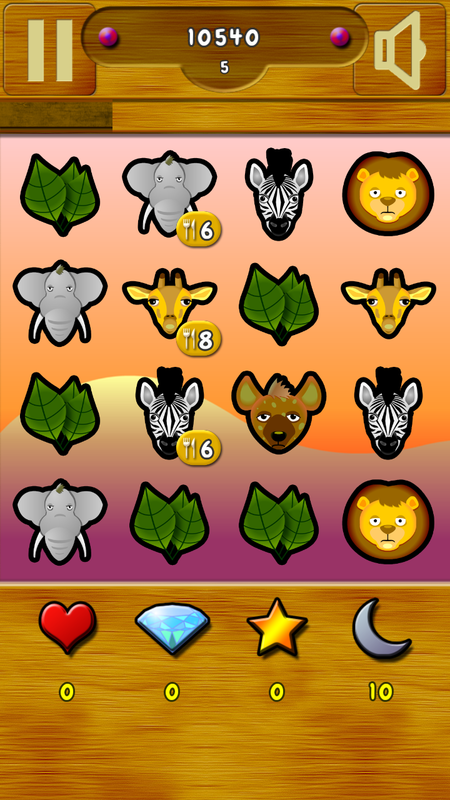 Some games put you to work matching jewels or other objects, but Zoolicious doesn’t take that tired old approach. 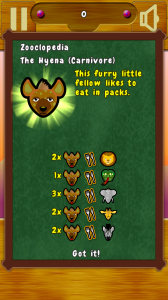 The goal of the game is to feed hungry animals, and you’ll do this by drawing a path from the animal to the type of food it eats. Zebras like to eat plants, and so do Giraffes, but Lions and Hyenas like to eat Zebras and Giraffes. 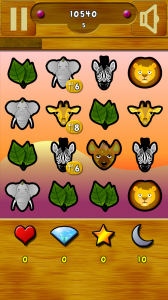 That’s basically how you play the game, but with more animals to go along with a few other twists. Zoolicious may be a quick play game, but it has some depth as you’ll get to play through three themes including the Savannah, Forest, and the Sea. The game also has three modes of play with Time Attack, Endless, and The Professor Says. I’ve never been a huge fan of matching games with the exception of 10,000,000 and a few others. Zoolicious isn’t your typical matching game, and the whole food chain aspect of the game certainly makes things interesting. There’s no freemium/demo version of the game available at this time, but the full version will only set you back $1.99, and it has no in-app purchases, no funky permissions, and no ads. Zoolicious is a great game for kids or adults, and you can get pick it up on Google Play.